Plasma Cutters are state of the art technology. Cutting steel, aluminum or any kind of metal has never been easier or cleaner. It's never been more affordable either.  Get the best plasma cutting equipment on the market at the lowest possible prices from Automotive Service Equipment. Get it anywhere else, and you probably paid too much! CUTMASTER® Plasma System 25 FT Lead Extension. For use with any of the Thermal Dynamics plasma cutters. Price is for when purchased with cutter. Please call for pricing if purchased separately. CUTMASTER® Plasma System Multi-Purpose Cart. Price is for when purchased with plasma cutter. Call for pricing if purchased separately. CUTMASTER® Plasma System 15 FT Lead Extension. Price is for when purchased with Thermal Dynamics plasma cutter. Please call for pricing when purchased separately. Fabricating steel and aluminum with a torch has gone the way of the dinosaur. Cutting with a Thermal Dynamic plasma cutter is so much quicker, easier, and precise. Plus, it provides a much cleaner cut. Your end product is a much more finished product.